Opiates are a group of powerful drugs derived from the poppy plant and that contain opium or a natural or synthetic derivative of opium. Opiate drugs act as depressants in the central nervous system and are typically used to alleviate pain or induce sleep. Opiates function in the body by attaching to opioid receptors that are found in the brain, spinal cord, and gastrointestinal tract. In doing so, opiates are able to block the transmission of pain messages and are able to alter the manner in which a person experience pain. Opiates also activate the neurotransmitters in the reward system of the brain, resulting in euphoric like effects. All opiate medications are prescribed by a doctor, usually with intentions of managing pain or for pain relieving effects. Because the effects of opiates are short term, an addiction can easily develop in an attempt to continuously experience the side effects. Opiates can be derived naturally or can be man-made. Naturally occurring opiates include morphine, codeine, and opium. Opioids, which are synthetic substances that mimic opiates, include drugs such as Oxycodone, Fentanyl, Dilaudid, Demerol, Darvon, Methadon, and Vicodin. Codeine – Used to treat pain, typically in combination with other medication. Found in very small amounts in the opium poppy. Morphine – Most common naturally occurring alkaloid in the opium poppy. Primary use is to manage moderate to severe pain. The following medications are considered to be opioids or derivatives of opiates, given on a prescription basis from a medical professional. 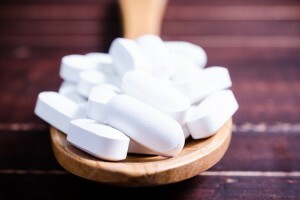 Oxycodone – Commonly prescribed for patients after surgery. Include prescription brand names of Percocet, OxyContin, or Percodan. Hydromorphone – One of the strongest opioids available. May be given to terminal patients to ease pain. Includes prescriptions such as Palladone and Dilaudid. Hydrocodone – Used to treat moderate to severe pain, lesser strength than Morphine. One of the most common recreational drugs. Includes medications such as Lorcet, Dolorex, Forten, and Vicodin. 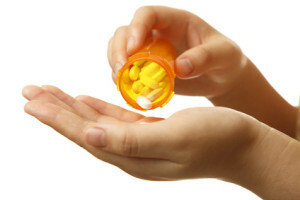 Opiates are available in several forms, including pills, tablets, and liquids. When used recreationally, opiates are typically crushed and snorted or smoked, swallowed, or injected. Though opiates can offer pain relief and thus improve the quality of life for someone suffering from physical ailments, they can easily be abused. All types of opiates and opioids can be addictive, some with greater potential for addiction than others. When opiates are used recreationally or beyond their intended scope, an opiate addiction typically develops. An addiction to opiates can destroy the life of any man or woman and negatively impact the many areas of an individual’s life. If you or a loved one is suffering from an addiction to opiates, it is important to enlist the help of loved ones, professionals, and an opiate addiction center to find freedom from the substance abuse. An opiate addiction does not have to take control of your life. 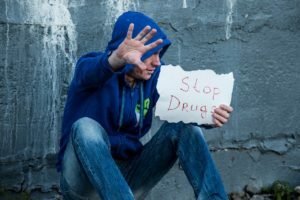 In fact, you have the ability to make the decision to seek the help you need to overcome the detrimental opiate addiction cycle with a rehab or treatment center and live your life in freedom and peace. You can take the first step towards overcoming this addiction by recognizing that you need help and asking for it. Obtaining professional help is necessary to appropriately dealing with the complications that may have resulted from opiates use. Suffering from an addiction to opiates can be overwhelming and an isolating experience, but it is important to remember that you do not have to be alone. Having the help of an opiate professional treatment team or opiate treatment center can allow for the best care and treatment, and ultimately, give you the tools you need to overcome this addiction. According to the United States Substance Abuse and Mental Health Services (SAMHSA), the non-medical use of opiates, such as opiates, is the second most common form of illicit drug use in the United States . From 2000-2005, overdose deaths from methadone – a synthetic opiate – increased by 500%, cited for nearly 4,500 deaths nationwide . In 1999, the Drug Abuse Warning Network found that two opiates – heroin and morphine – were related to over half of accidental drug fatalities in the United States . In 2007, nearly 2.5 million Americans had abused prescription painkillers to achieve a high . Just under 10 % of the US population has abused opiates at some point in their lifetime, including street opiates such as heroin and prescription opiates like Oxycontin and Vicodin . Opiate abusers get their drugs from friends or family members. Only about 4% get opiates from illegal dealers or strangers, and about .1% obtain opiates from the Internet . The most commonly abused drug (other than alcohol) in the United States by individuals over the age of 12 is Marijuana, followed by prescription opiates, cocaine, and hallucinogens . Each year, drug abuse and drug addiction cost employers over 122 billion dollars in lost productivity time and another 15 billion dollars in health insurance costs . An opiate addiction may be caused by a variety of factors, depending on the individual and any given circumstances they may have been exposed to throughout their lifetime. Opiates have demonstrated anti-depressive and antipsychotic effects, and individuals with prior emotional dysregulation, severe mood disorders, or anxiety may be more likely to use opiates and become addicted to the euphoria effected created by them. Opiate use may also start as a prescribed medication by a physician to manage moderate to severe pain, but if a person taking opiates becomes dependent on the drug, either physically or psychologically, or if a tolerance is built towards the drug, an addiction will slowly begin to progress. Some individuals may feel that the continued use of opiates is needed for daily living, even if the original pain has subsided, which can create a dependency on the drug. Other possible causes of an opiate addiction can be related to biological, psychological, and social factors, such as a family history of drug abuse, unresolved traumas, or peer pressure. It is common that an opiate addiction can be co-occurring with other disorders or diseases, such as an eating disorder, alcoholism, mood disorders, or the abuse of other substances. If you or a loved one is struggling with an opiate addiction, there may have been several factors involved that led to this point. Having the help of a professional opiate treatment center can be instrumental in identifying any possible root causes associated with the opiate addiction. Behavior changes or extreme alterations in mood such as frequent expression of hostility, anger, anxiety, or agitation. If you or a loved one is experiencing any of these signs or symptoms as a result of an addiction to opiates, please seek the counsel of a health professional, as the addiction can quickly spiral out of control. An opiate addiction can cause complex interferences in an abuser’s life, creating difficulties in both the short and long term. While physical consequences may be the most obvious, the effects of an opiate addiction do not stop there. Because of the short duration of side effects created by opiate use, a tolerance to opiates can develop quickly, even if the drug is taken for a short amount of time. Withdrawal will occur in any instance where the dosage of opiates is discontinued suddenly, allowing the body to detoxify from an opiate drug or flush it from its systems. While it is important to withdraw from opiates, any detoxifying should be done under medical supervision as the symptoms that can accompany withdrawal are both physically and psychologically taxing. Depending on the frequency, type, quantity, and duration of opiate use, the physical withdrawal symptoms can last from 48-72 hours. These symptoms result as the body attempts to recuperate from the interference of opiates within its systems and the dysfunction the drug(s) may have caused. If you or a loved one is addicted to opiates and attempting to withdraw from the medications, it is recommend that you seek the help of a qualified medical professional or opiate treatment center. Having the support of a professional staff can ensure that the detoxification process proceeds with as little discomfort and complications as possible. Having the support of an opiate rehabilitation center and treatment team can establish long term success for recovery. Nearly one out of every four male college students (one in five female) uses drugs in one form or another. Although some of the drug use is motivated by a desire to be competitive in studying, most of it is recreational. Opiate use has been on the rise due to it being easy to acquire without the stigma of illegal drugs. Learn more about it here.